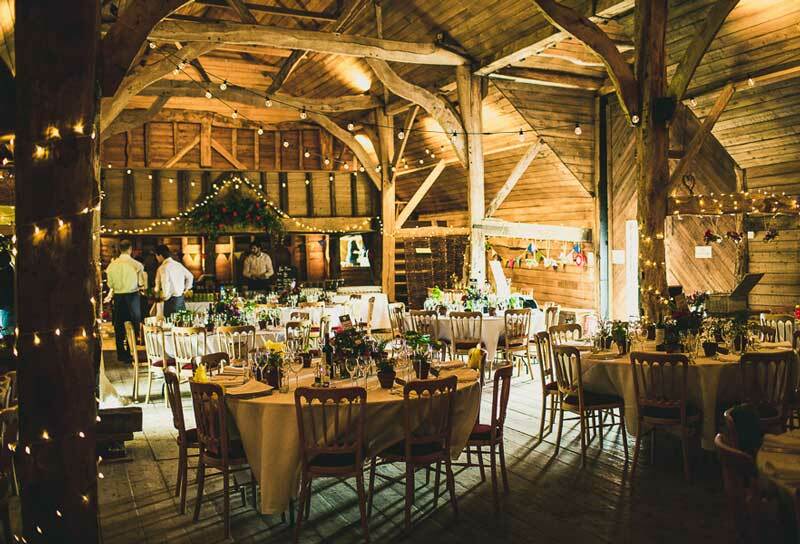 Our 17th century tithe barn is the perfect venue for your wedding reception or party. The Black Barn has been sensitively restored so that it remains essentially original, full of character with soaring oak beams and space to seat up to 100 guests comfortably. It opens out onto a traditional English lawn and garden, which will be exclusively yours for the day. The Black Barn is available on Saturdays between midday and 11pm, generally from Easter to mid-October. We provide a blank canvas on which you can design your ideal celebration. We try to keep things simple, providing what we know you’ll need (tables and chairs, for example) with no hidden charges (such as corkage), so you can focus on the details that will make your special day really yours. 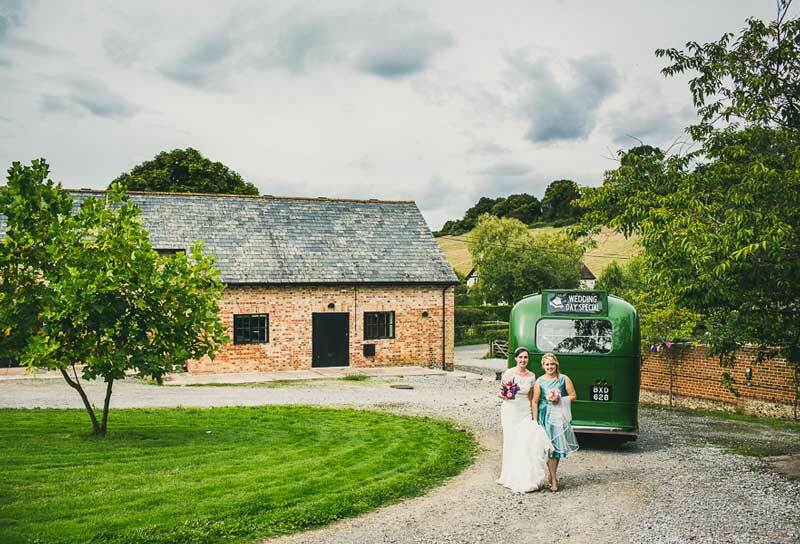 The Black Barn is an intimate and low-key wedding venue, and we deliberately host only a small number of wedding receptions each year. It’s likely that most of your guests won’t have been to a wedding here before, so it feels special and exclusive. The Black Barn is located in the heart of Stansted village, next to the picturesque Norman church of St Mary. It is approached through large double doors from the old farm courtyard and opens out onto a traditional English lawn, with rising herbaceous borders and a rose and wisteria pergola, which will be exclusively yours for your wedding reception. For wedding receptions and parties, the barn is available to rent on Saturdays between midday and 11.30pm (with music off by 11pm). We only accept one booking each week, so you’ll have access to the barn on Friday for setting up and Sunday for clearing up (we do the cleaning, though!). The Black Barn is generally available from Easter to mid-October, as this is when we feel you get the best of the barn and garden, but if you’re interested in a date outside these months, please do ask. 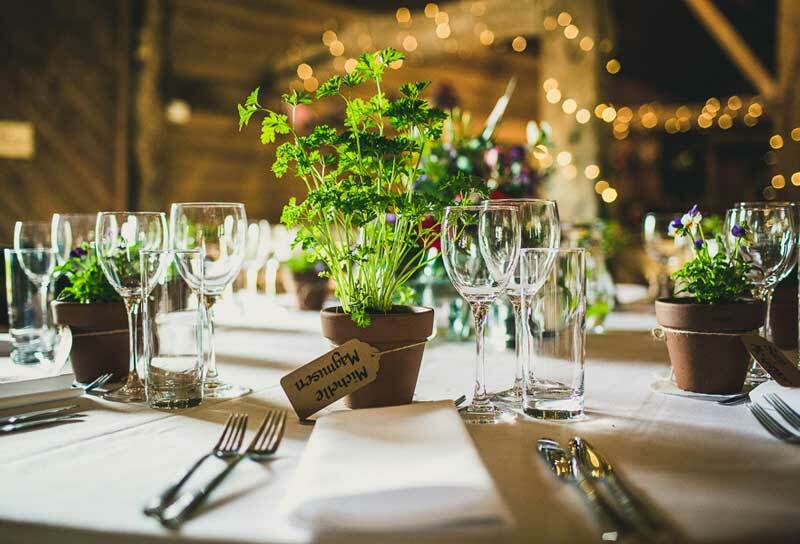 In addition to use of the barn and adjoining garden, we provide loos, use of the kitchen / prep area for caterers, tables and chairs for up to 100 guests, and plenty of space for parking. We have a list of recommended caterers (see Our Suppliers), whom we know and trust and who are familiar with the barn. If you wish to bring in your own caterers we ask that we meet and approve them before your wedding.